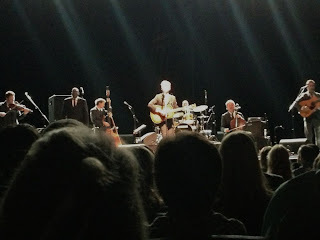 but it's out-of-this-world fantastic to go there to see LYLE LOVETT! How can I begin to describe my love for Lyle? Actually, I kinda already did. 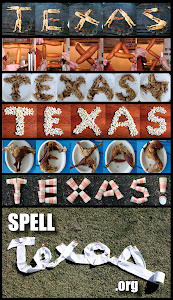 (See this post from our last Lyle concert way back in 2008.) But really, he is my all-time favorite musician. I've lost count of how many times I've seen him in concert, but in recent years, my visits to those concerts have been all too rare. For this tour Lyle was with his acoustic group, and what a talented group it is! 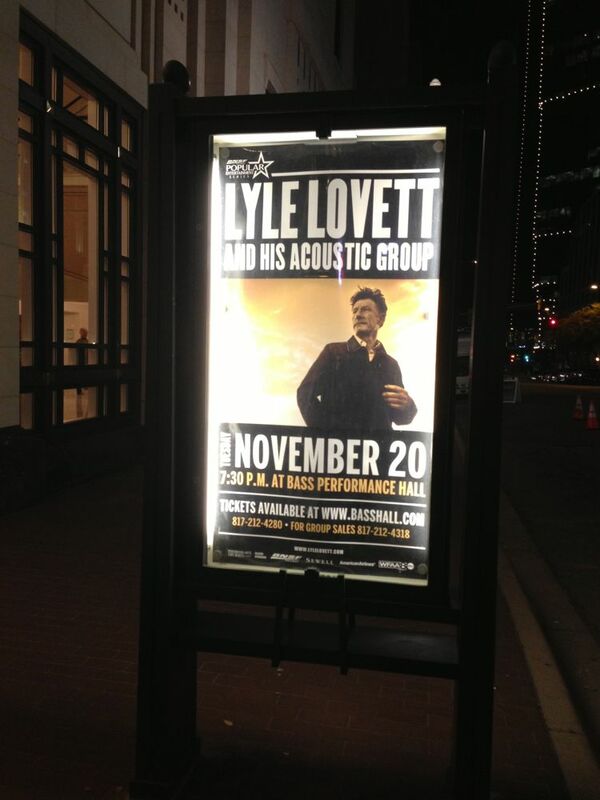 As always, Lyle was generous to share the spotlight with his band. That was one of Brett's first comments: Lyle appreciates musicianship, and he surrounds himself with the best musicians out there. After warming up with "Fat Babies," he led off with several songs from Release Me, his latest album. Then he barreled right into some oldies, including "Give Back My Heart" and "God Will." The big numbers, "Church" and "That's Right (You're Not from Texas)," were there, as was the musician-spotlighter, "You Can't Resist It." I was thrilled to hear him perform "Private Conversation," since that's one Brett particularly likes, and "I Will Rise Up," a new favorite. But really, they're all my favorites. 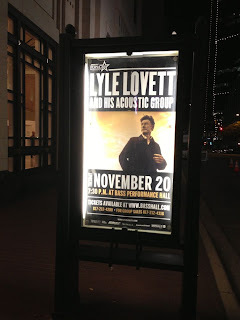 One of the reasons I'm crazy about Lyle is his dry sense of humor, so this concert was a banter-filled delight. He talked more this time around than I'd seen at other shows. 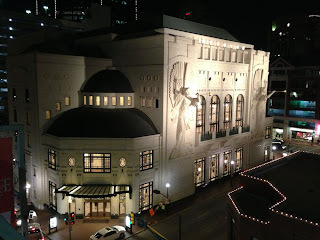 A Lyle first for me: Two of his songs ("The Waltzing Fool" and "She's No Lady") were interpreted by Texas Ballet Theater dancers on a raised platform behind the band. The second song was a little on the silly side (as is appropriate for those lyrics), but "Waltzing Fool" was sublime. 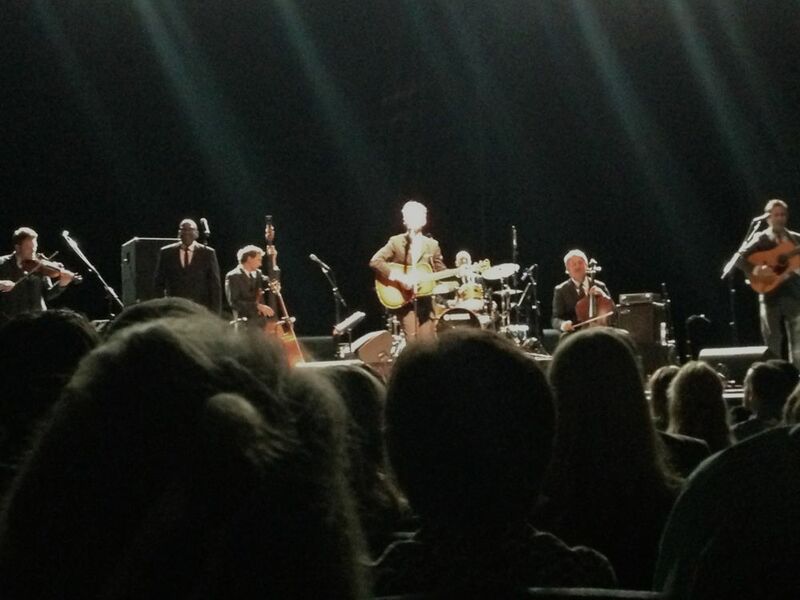 These were the best seats I've had for a Lyle show in—I don't know—ever? We were on row F, right in the center, which means there were just eight rows of people between us and Lyle, who seemed to be looking RIGHT AT ME as he sang. burned a hole right through my phone's camera! Lyle repeatedly said how much he loves playing the Bass Hall, and I certainly hope that means he'll be back again soon and often! Surely it won't be four years until I can bask in his presence again!